1. You will need the Glance Plus app from the Google Play Store to get the Always-On feature on your Android device. Download and install the app. 2. 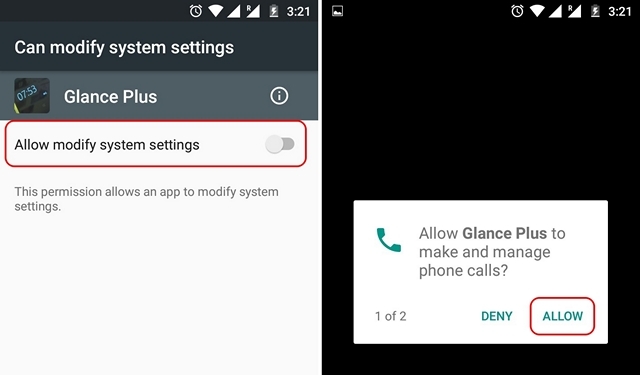 When you first start up Glance Plus, it will prompt you to allow it to modify system settings. 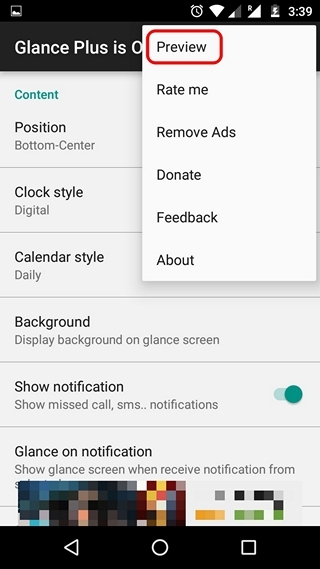 Enable it and then, accept the permission prompts from the app if you are using Android 6.0 Marshmallow or above. 3. Once done, go back to the Glance Plus app and “turn on” the app through the toggle button on the top right. 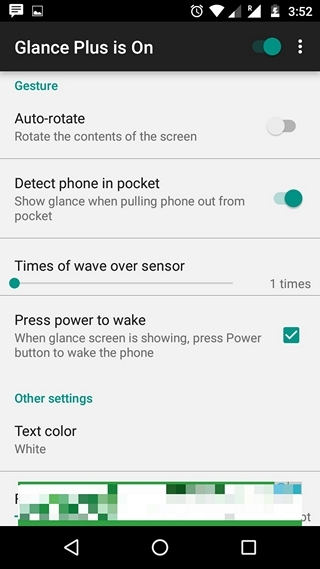 Once turned on, you will get a message saying “Glance Plus is On”. 4. Then, you can customize the contents of the Always-On display. Once you are done customizing the various options, you can hit the three-dot button at the top right and tap “Preview” to see what it looks like. 5. 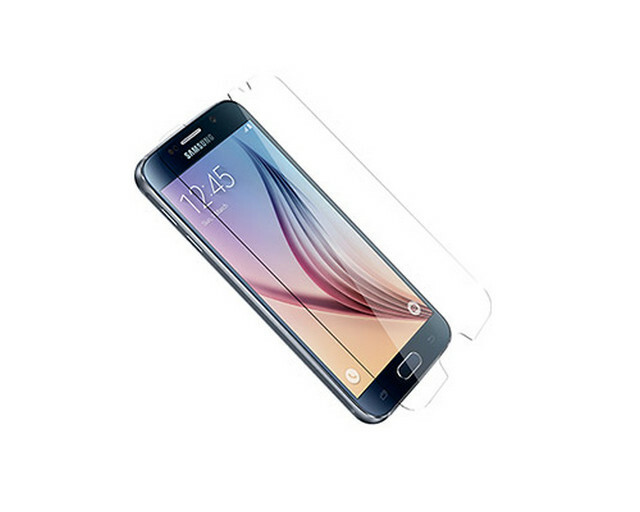 After that, lock your device and lay it onto a flat surface. Pick it up and you should see the cool new Always-On display, thanks to Glance Plus. 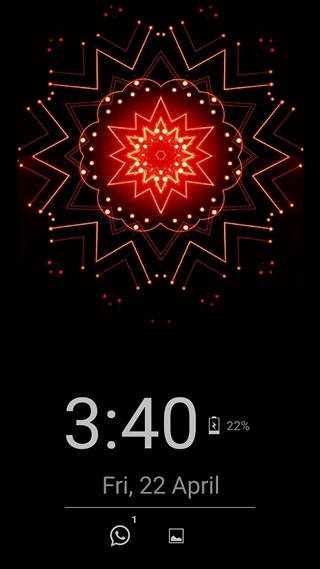 You can then go to the lockscreen by simply double tapping on the display. That’s pretty easy, right? Well, the good news is, the Glance Plus app is no slouch when compared to the Samsung Always-On display, as it brings a plethora of features. 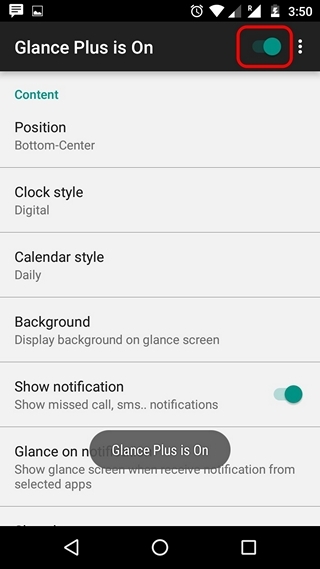 You can customize the position as well as the content in the Always-On screen with options to choose different clock & calendar styles, display backgrounds, show specific or all notifications, get battery info etc. Also, there’s support for gestures along with options to change text color, font size, brightness and more. Note: To see notifications with Glance Plus, you will have to give the app notifications access. 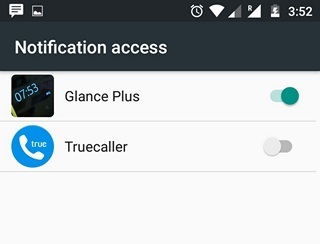 To do that, go to Settings->Sounds & notification->Notification access and enable “Glance Plus” and select “Allow” in the next prompt. 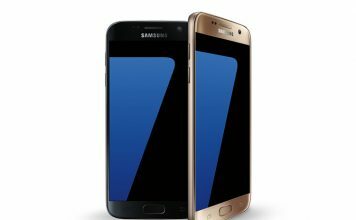 If your device does not feature an AMOLED display like the Galaxy S7, this might eat up a lot of your device’s battery. 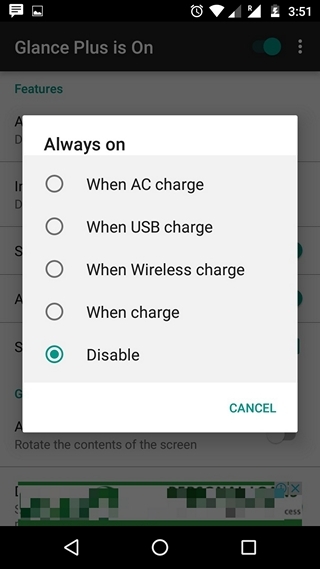 To make the battery usage more efficient while continuing to use the app, you can set the inactive hours and disable “Always on”, which displays the Always-On screen whenever the device is locked. Also, make sure to keep the brightness of the standby screen minimum. 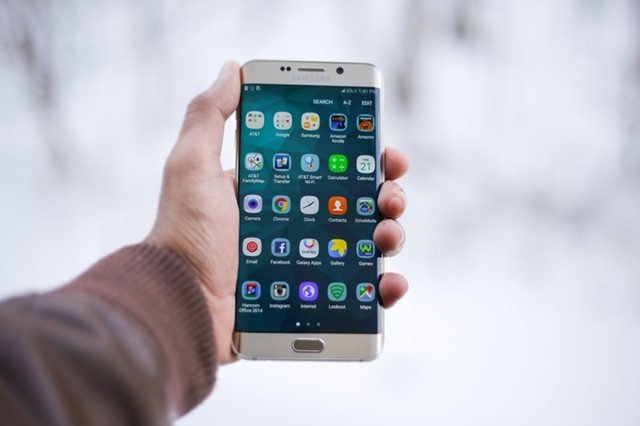 While most of the features in the app are free, some features like Adaptive Brightness are available through a nominal in-app purchase of $0.99. Also, the app is laced with ads but if you have a problem with that, you can make an in-app purchase of $1.35 to remove ads. 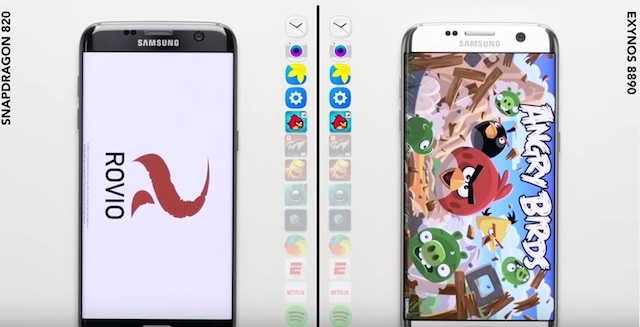 Ready to try out Samsung’s Always-On display on your Android device? 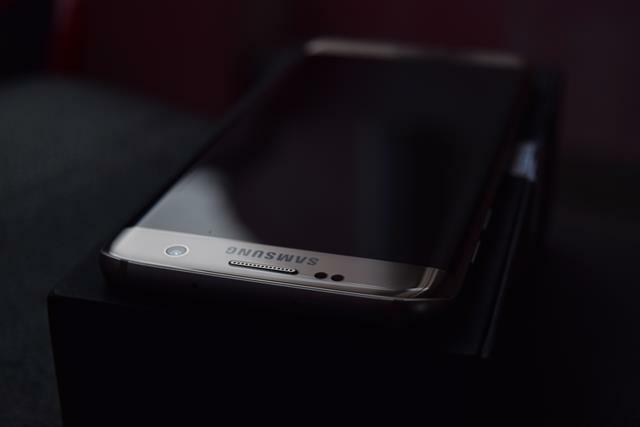 If you adore the cool new Always-On display on the Galaxy S7 Edge, this is your chance to try out the feature on your very own Android device. So, what are you waiting for? Install the app, follow the steps and get a gorgeous new standby screen. Well, try it out and let us know your feedback in the comments section below.